Fresh Labdanum oleoresin. Wild harvested by villagers with traditional tools in the hills of Crete. Recently, while writing about the traditional Labdanum harvest in Crete for my Etsy shop, I was reminded why I love doing what I’m doing. I see us, a new wave of herbalists, natural perfumers, earth and people healers, plant whisperers, craftspeople and shamans, with a role in this world and an opportunity that was not offered us till recently. We now have the tools to change the world much more easily and quickly. If we understand what is required from us. 1700-1702 woodcut A Ladanisterion. The tool still used today by villagers in rural Crete to hand-harvest wild Labdanum, Cistus Creticus, for perfume, incense and medicine. We have become accustomed to a Colonial/Capitalist approach to natural resources. Our western corporations take the precious stuff from poorer countries at the lowest possible price, taking advantage of cheap local labour and poverty, then sell it to us at the highest possible price. This is one reason developing countries are still only developing and corporations are doing so well. They see very little of the money we consumers pay for their resources. I think it’s time for a change. 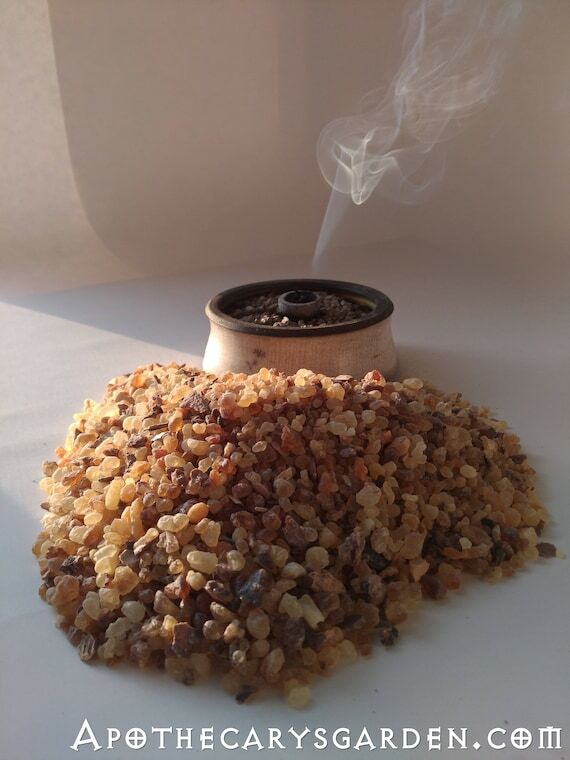 Frankincense is one example. Not only are wild growing trees sometimes raided by thieves, but when the harvest does get collected and taken to the local market, traders aim to pay the lowest possible price for the harvest and I have heard many horror stories about this. Trading a bag of rice or flour for a bag of the highest quality resin that can fetch up to $300.00 a kilo on the retail market, is not an unusual story. A hungry harvester who needs to provide for their family the year ahead is vulnerable to these offers. I hear of traders telling the harvesters they will only pay them when they sell their resins. Of harvesters indebted to traders since the prices they receive are not sufficient to sustain them for the year and they end up borrowing against future harvests. That scenario never bodes well for the harvester and is, sadly, quite common. Harvesters are often pitted against each other by the buyers and told others are selling at a much lower price leading desperate gatherers to settle for low prices to ensure a sale. Young Frankincense harvester bringing his daily haul down from dangerous mountainsides where the Frankincense trees grow. The whole clan pitches in with the harvest, their main income for the year. Injuries occur often from wild animals and falls, and medical services are not available to harvesters in many remote areas of the world. Sadly, many of these “Traders” are westerners, representatives or middlemen for familiar international companies, bullies sent out to ensure the corporations make the biggest possible profit by paying the lowest possible price for goods. Till now, profit for the corporations, at any cost, has been the only motivator and goal in this trade. We have accomplished a lot with our capitalist model of commerce, but lately it has become obvious, some things need to change. I believe we now have the tools and group power to collectively build a new model for ourselves. We are the rich kids on the block and it is our responsibility to share what we have and not close our eyes to the distress or struggles of our neighbors. Especially not when we are buying their goods. We certainly shouldn’t take advantage of their poverty and lack as we do. And we do. Let’s be clear and honest about this. The high prices we pay for our wild harvested medicinal herbs and fragrant materials go mainly to the big corporations and others who make a profit along the way. Very little ever reaches the people who harvest it except the bare minimum to ensure they keep supplying us. I will address this fully in a soon to be published post, but, the certification of “Organic” for our wild-crafted herbs and fragrance materials, is too often misused for profit. 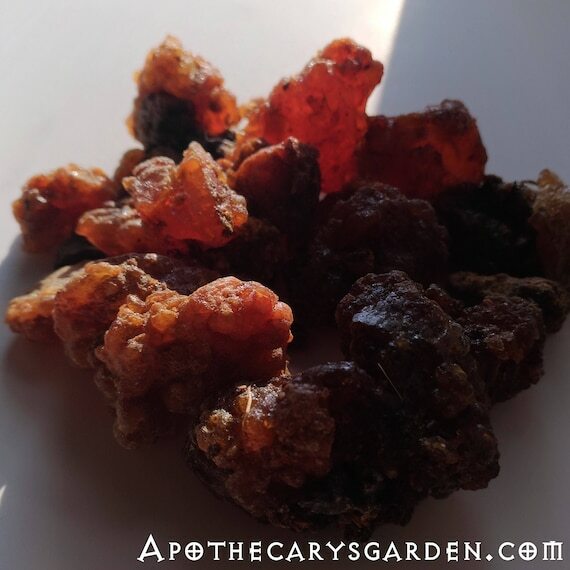 I assure you without hesitation that the cheaper version of that Frankincense essential oil, beside the one that is certified organic, is , without the slightest doubt, equally organic and could very well be of higher quality. The qualification of “Organic” in our wild harvested crops is inappropriate and misused. It was designed for domestic and cultivated crops and has no business being applied to wild harvested plants. It is also important to point out that not a penny of the premium we pay for this spurious certification is seen by the harvesters. What we do need is a legitimate certification of Sustainable/Ethical harvest and “Fair Trade” practices. If we aren’t dealing directly with the harvesters ourselves, then we need a body we can trust to look out for them and see to their well-being, financially, socially, culturally and otherwise. Ideally we need a certification by an organization that will protect and support the harvesters while ensuring sustainable harvesting practices and propagation in the wild. Our market demand is growing, natural resources are stressed and in many cases declining. We need to address this now, not when it’s too late. These harvesters and collecters are the only stewards we have for these precious and quickly disappearing resources. We must see to their needs to ensure they have the means to sustain themselves and the wild crops we depend on. This is our obligation. We need to take care of those who are taking care of our precious resources and their little corner of the planet for us. We complain about the big corporations we have created and the damage they are doing to our society, economy and the planet. However it is we who sustain them with our purchases. If we stop feeding them and supporting them they will cease to exist. We are solely responsible for giving corporations their power because we give them our money. If, instead, we direct our support towards the small-scale local operators, at home and abroad, and take care of the “little people”, we could, in fact, replace our corporate Capitalist model with something that is more suited to ensuring peace, prosperity and liberty for all while sustaining an ongoing supply of the medicinal and fragrant plant materials we love and depend on. Do our harvesters have enough food? Adequate shelter? Clean water? Enough income to get by comfortably? Do they have basic healthcare and education? Are they receiving fair prices for their products? If not, then we are not paying them enough for their goods and services. Or more to the point, our money is not reaching them and something needs to change. In the case of our wild aromatics and medicinals, the harvesters are the best positioned and best qualified to steward these precious resources. In fact, they are the only ones that can do this critical job. Many of our medicinal and aromatic plants also have important roles in the cultures and societies that harvest them for us. Cliff-hugging, rock-loving fragrant and healing Frankincense tree living where it loves to grow. 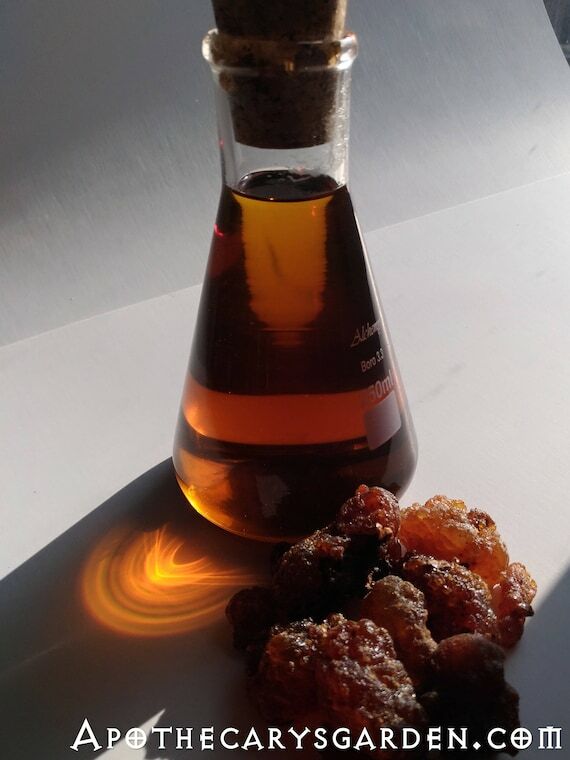 Frankincense trees are often left untapped for decades just so they can be given as gifts or dowry to newlyweds. These trees are of great value to the harvesters from a social and cultural perspective. They are much more than just a source of income. This is likely the case with other wild harvested plants we in the west purchase. Many of these wild crops will not grow, thrive or lend themselves to domestic cultivation in orderly rows and tended fields and must be tended to where they grow best, in the wild. We need to maintain the balance of nature in the wild so our harvesting does not leave holes in the local ecology where other species might take over. Many plants we use are stressed and not reproducing as well as they should due to over-harvesting, yet our demand still grows. Now is the time to propagate and replenish them in the wild, before it is too late. Part of the money we pay for our wild aromatics and medicinals needs to be invested in programs that ensure these native crops are maintained and do not decline from our intervention. The harvesters are the ideal implementors of programs of propagation, seeding and stewardship in the wild. To change the current scenario, we need to deal as directly as we can with the harvesters, cut out the ruthless traders, the profit-focused large corporations, the myriad middlemen and the impersonal companies that receive the lion’s share of the high prices we pay. We need a new model that will serve us all well, harvesters, purveyors and consumers alike, where profit is only one of many conditions that need to be met. We need a model that brings prosperity and benefit to all, including the plants and their environments, the harvesters and their communities. I invite you to think differently about our exotic wild medicinals and fragrant plant materials and start thinking about our brothers and sisters who harvest and steward them for us, and how to best appreciate and support their efforts so our children and theirs can experience these same wonderful scents and medicinals before they disappear from the planet through our shortsightedness. a fantastic piece raising many important issues. are there any practices you have put in place to deal with some of these issues? do you deal directly with wild-crafters for all of the wild harvested materials you out source? i really enjoy your blog. kudos to you, dan! Thank you for your comments and questions. I apologize for the delay responding!! If I don’t harvest things myself in the wild, then I purchase through traditional “wild crafters” wherever I can. Examples are my Labdanum and Castors. I will be in Ethiopia and Somalia in the new year. In Ethiopia the government takes care of the harvesters and has programs that deal with propagation and sustainability, however, I am working with a traditional Civet farming family and will be laying the groundwork for an “Ethical” model Civet farm that I hope will bring animal care and welfare up to our western standards. In Somalia I am visiting with a newly formed co-op in the Somali Puntland and hope to meet with elders, harvesters and managers to develop a new model of fair trade and sustainability. I am looking at pairing them with buyers and financiers, and developing a direct market for them here in the west. I am also researching government and international programs that would be beneficial for them.